Our mission home was on the North side of the Kasai River. Originally the site was only a small fishing village. In 1911 the local chief, Ndjoko Punda, offered the ground for the mission station. He designated that there was to be No bloodshed on that ground. Through that chief the mission station which bears his name was set apart for God’s purposes. 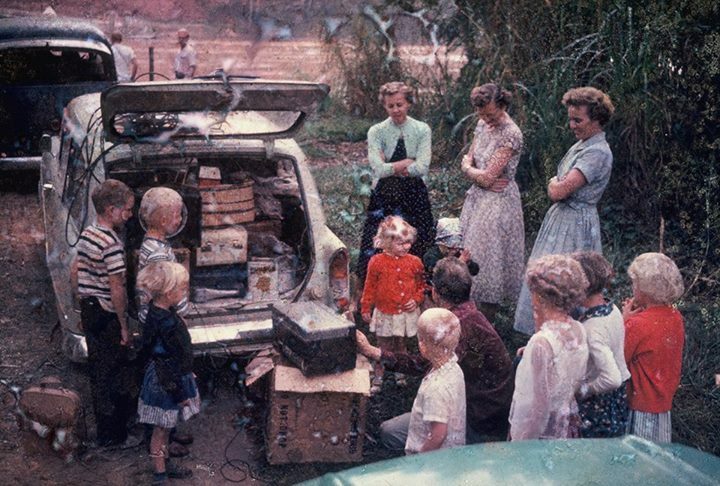 Evacuating the Congo with other missionary families. In 1964 we were forced to leave our home in the Congo. 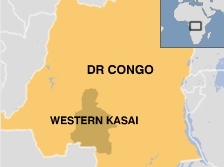 The rebels who were seeking power in opposition to the native African government (the Congolese had obtained independence by then) took over and anarchy reigned. We were rescued by the U.N. and eventually returned to America. America was a shock to me. I turned thirteen that fall. Always I carried with me my memories of home in the Congo. I had a vision or a dream of one day returning. I longed to return to Africa. To sit around the fire at night with the Congolese, to hear the stories, to be where I belonged with my friends. I shared experiences with them. I identified with them. The thought never left me of sitting around the fire at night with them. I think God gave me this dream to draw me back to the Congo. Although all of us identified with our parents calling to the mission field, I never felt called to be a missionary. But the desire to re-connect with the Congolese never left me. In 2007, my older brother, Stan and I, together with our wives, made the trip. Our plan was to show our wives where we grew up. However, the Lord had another plan. He used that trip to create the vision of Hope 4 Congo. Proverbs 16:9 In his heart a man plans his course, but the Lord determines his steps. (NIV). God gave the dream. Although I wasn’t called back to be a missionary, I was called to be a facilitator or conduit for what God wished to do there at our former home.